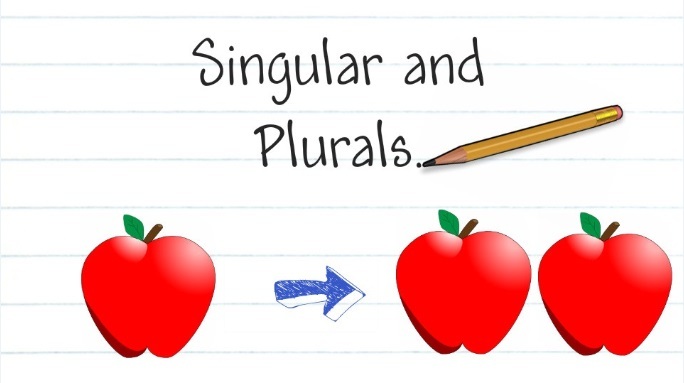 Many students have problems with singular and plural nouns. Not only do students need to indicate whether a noun is singular, plural or uncountable, but there are also some special cases, which are explained below. Some nouns can only be used in the plural. This is because the object consists of 2 parts joined together; e.g. 2 pieces of glass in a pair of glasses, 2 legs in trousers, and 2 items of clothing in pyjamas. The trousers are on sale in this store. I need to buy a new pair of tights. There are certain singular nouns which are usually used with a plural verb and pronoun. We can think of these things as a number of people, rather than one thing so we use a plural verb e.g. The government (=they) want to apply a capital gains tax. The committee (=they) are planning to build a new complex. A singular verb ‘The committee wants to …’ is also possible. In this case, the committee is regarded as a unit or body, rather than thinking of the people who make up the committee. e.g. The police report that crime rates are down. The word staff often causes problems. I spoke to a staff in your shop and he was rude to me. I spoke to a member of staff in your shop and he was rude to me. It should be noted that there is no -s on staff e.g. The staffs are very loyal. The staff are very loyal. When we talk about a sum of money, a period of time or a measurement, we can use a plural noun with a singular verb. In the following example, we use twenty-dollar as an adjective, so the s is dropped. The subject I majored in was economics. The news is always depressing nowadays. Only six of the following sentences contain a mistake. Underline the mistakes and write the correct version in the box. If the sentence is correct, write "correct" in the box. Complete the following sentences using the structure used in note 4.
e.g. This sack of coal weighs ten kilos. 1. The movie star is 90 years old. She’s a 90-year-old movie star. Choose the correct form of the verb, singular or plural, for the following sentences. In some cases, both are possible.